While Visits To Public Lands Soar, Funds To Maintain Shrink Western towns surrounded by and dependent upon public lands are forced to get creative as federal recreation budgets continue a slow decline. They are boosting local efforts to maintain public access. Like most American ski areas, Mammoth Mountain Ski Area operates on U.S. Forest Service land thanks to a federal lease. Shrinking federal budgets to maintain recreational access to public lands mean locals have to be creative to keep trails open and safe. 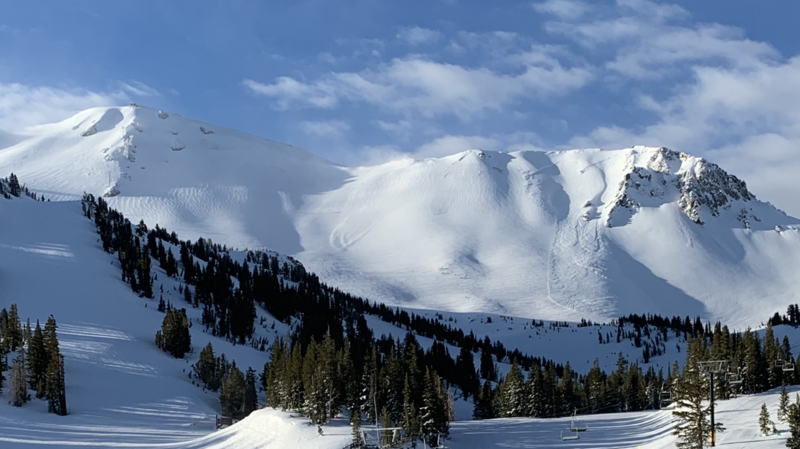 It's the boom times in Mammoth Lakes, Calif., which is wrapping up a winter of record snowfall. Eager to take advantage of it, Donovan Sliman and his two young daughters are lumbering up a snowy trail on the outskirts of town, where the condos give way to National Forest. "I like to get away from everybody else," says Donovan. "I like to hear the sound of the wind and the snow through the trees." "We're also going to go sledding," adds Grace, one of his daughters. Mammoth is completely surrounded by protected federal wilderness or U.S. Forest Service land. Its destination ski resort operates on public land via a federal lease. The Slimans try to visit the Mammoth Lakes area from their home in Orange County at least a half dozen times a year. There are these dramatic increases in recreational uses of public lands, and at the same time dramatic declines in recreational budgets. Every year, more than 2 million people descend on California's eastern Sierra region to camp, hike, fish, hunt and ski. This region, often dubbed "the wild side" of the state, only has about 50,000 residents across two sprawling counties roughly the size of Massachusetts. Across the western U.S., towns surrounded by public lands are facing an increasing bind: They're seeing a huge surge in visitors coming to play in the forests and mountains surrounding them, which is leading to an economic boom. But, at the same time, federal funding to manage these lands has been drying up. "There are these dramatic increases in recreational uses of public lands, and at the same time dramatic declines in recreational budgets," says Megan Lawson, a researcher at the Montana-based think tank Headwaters Economics. A recent analysis by the group showed that visitation to U.S. Forest Service and Bureau of Land Management land has risen by about 15 percent over the last decade, while budgets for programs that support recreation in those agencies has fallen by a similar amount. 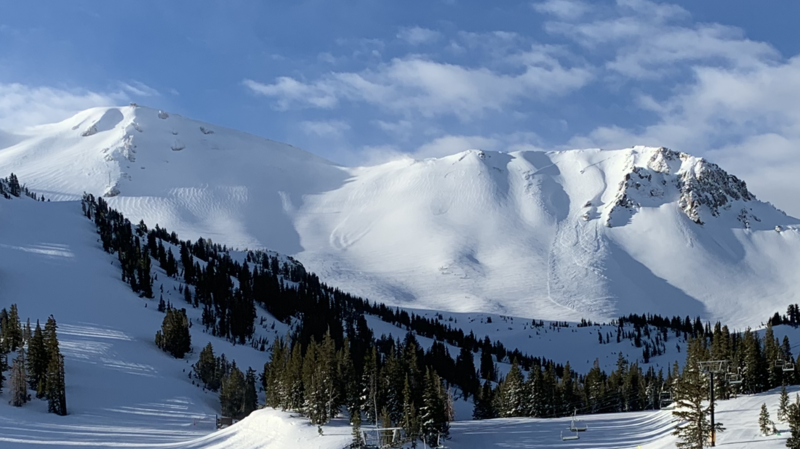 According to Headwaters, since 2010, the Bureau of Land Management's recreation budget has fallen by 18 percent, or $14 million. The Forest Service's recreation budget has fallen by 16 percent or $49 million in the same time period. Lately, more of that money has been shifted to pay for wildfires in the West. Since 2000, for instance, the Forest Service budget for wildfires and suppression has increased by more than 100 percent. And, more recently, the Trump administration has tried to devote more resources to fast-track logging and mining on public lands. It's been a slow-moving crisis, but lately has prompted local leaders like John Wentworth to warn of a future where public lands are loved to death. "Trailheads are trashed, bathrooms don't work, trails aren't maintained, people are parking all over the place," he says. For Wentworth, the timing couldn't be worse. Towns like his have gone all in to promote their recreation economies and the amenities they offer based on their access to federal public land. So they're now forced to get creative to deal with the problem of shrinking revenues to take care of that land. A former mayor and current town council member, Wentworth loves to show off the wild lands surrounding Mammoth Lakes. There are the backcountry ski glades south of town, accessible by a short drive from his home. The hiking in the summer accessing the famed John Muir Trail and the Ansel Adams Wilderness is unparalleled. All these public lands are why people flock here and in some cases move here permanently, he says. It's discouraging and a little frightening to see that federal presence go away. But on the other hand, there are real opportunities for better management if it's more localized. On a recent snowy afternoon, he stopped his pickup at a popular U.S. Forest Service trailhead just south of town. Things had gotten pretty lawless there during peak periods, he says, because the federal agencies just didn't have the resources to keep tabs on the trailhead. This was especially apparent during prolonged government shutdowns in recent years. So the town stepped in, convincing voters to approve a tax increase to help pay for maintenance and staffing at gateways to federal public lands. At the Mill City Trailhead, Wentworth shows off the new, big informational signs laying out the rules. There's even a doggy bag bin. All of this is stuff the U.S. government might have paid for in another era. 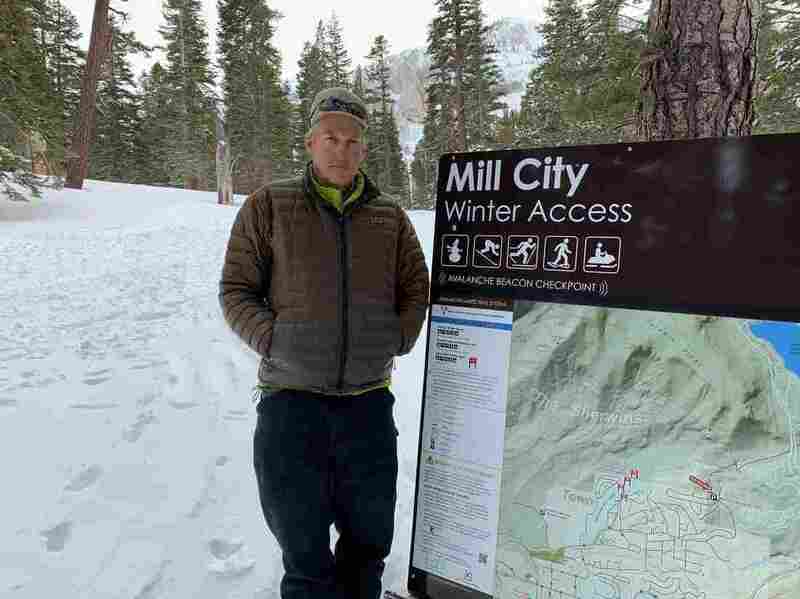 John Wentworth, a Mammoth Lakes Town Council Member, started a local nonprofit a few years ago to promote better access to public lands and more cooperation between local and federal agencies. "It's discouraging and a little frightening to see that federal presence go away," Wentworth says. "But on the other hand, there are real opportunities for better management if it's more localized." "The envy of the world"
This was the theme of a summit Wentworth helped organize at a Mammoth ski lodge recently. The summit drew local leaders and outdoor recreation business owners from around the West to strategize about coping with federal budget cuts. They also swapped success stories: Vail, Colo., is paying salaries for extra federal rangers to staff a popular summer hiking trail; volunteers in Montana are doing wildlife counts to help overworked wildlife biologists; private money in California is building new mountain bike trails on federal land. Attendees like Allen Pietrasanta were quick to caution that their efforts were intended to supplement the federal government, not advocate a takeover of the land, as some western Republicans have wanted. "We are the envy of people in the world for our public lands," Pietresanta said. "We're looking to keep the public in public lands and looking at creative, new ways to help manage them. And keep them healthy and vibrant." Pietrasanta, who lives in nearby Bishop, Calif., chairs a group called the Sierra Business Council, which helps struggling rural towns transition into outdoor recreation economies. It's an increasingly lucrative business in the rural West. Another analysis from Headwaters showed that rural western counties with large recreation economies are the only ones to not report population declines since the Great Recession. Today, the outdoor recreation and service economies are generally far larger than more traditional economies like mining and logging, though generally wages tend to be lower than those in the natural resource sectors. Folks here said they're tired of all the hand-wringing and waiting for solutions from Washington. So they're doing what they can locally for now to handle the boom in visitation, among other things. "People are coming to America's public lands and they're coming by the millions," said Wentworth. "They love it, it's free, it's their legacy, and we've got to be ready for them."